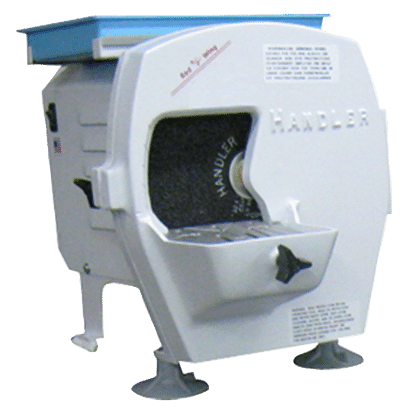 Model Trimmers - Lab Depot ltd.
“The Professional” A 10” [25cm] diameter model trimmer powered by a full 1/3 HP ball bearing, capacitor start motor. Large 1” [2.5cm] diameter water exhaust, motor cover with removable top plastic utility tray. Unit shipped complete, ready to use with minor set-up. Finished with a durable, baked coating. Designed for and built for the very busy laboratory that trims a large quantity of models each day or the technician who wants maximum torque. A full wheel internal water spray washes the entire wheel as it rotates inside the aluminum housing, keeping the trimming wheel clean during operation. This rugged, Hi-torque trimmer is built to provide years of trouble free service. 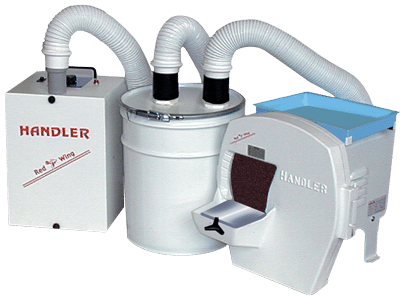 Handler 31 model trimmer with 10” abrasive disc, 5 gallon cyclone with cartridge filter to trap dust particles for easy disposal. A 62-II super sucker draws a powerful 110 cfm through the cyclone and entraps particles 0.5 microns and larger. Hoses connect the 3 components, dust is removed from the work area and falls into a 5 gallon cyclone cannister. Quality crafted, easy-to-use Whip Mix model trimmers provide excellent cutting action to produce consistently attractive casts. Available in a 10″ or 12″ size, all units are constructed of rigid cast aluminum housings and backing plate, and are shipped completely assembled for immediate use. The 12″ model features a fully adjustable work table with angle ranges from 85 degrees to 120 degrees from the grinding wheel surface. 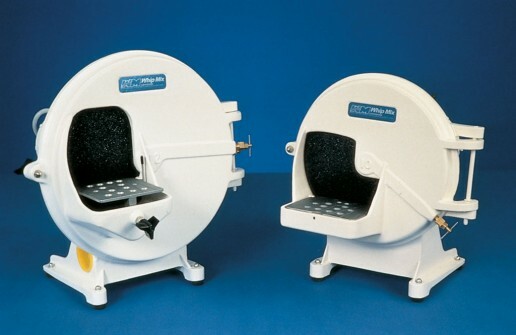 A hinged front cover, held by a single wing nut, allows easy access to change or reverse the abrasive wheel. A full radius water supply provides effective abrasive surface cleaning, while removable clean-out plugs provide access for general cleaning. Unit measures 16″ wide x 17″ high x 15″ deep and comes with a coarse abrasive wheel (40.5 cm x 43 cm x 38 cm). The 10″ model offers a two-position work table and many of the same general features but in a more compact size and at a lower price. 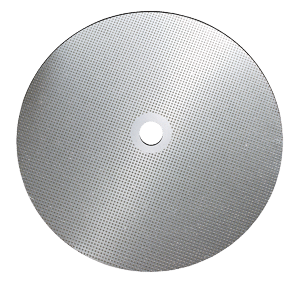 The 10″ model trimmer requires a space of only 14″ wide x 16″ high x 15″ deep and comes with a coarse abrasive wheel (35.5 cm x 40.5 cm x 38 cm). 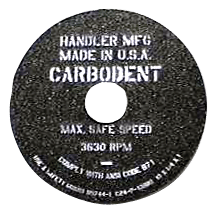 12″ Abrasive wheel available in medium, coarse and extra coarse grits. 10″ available in medium grit. Diamond particles embedded in fiberglass substrate provide fast, aggressive cutting action. One year guarantee. Available in 10-inch and 12-inch sizes.